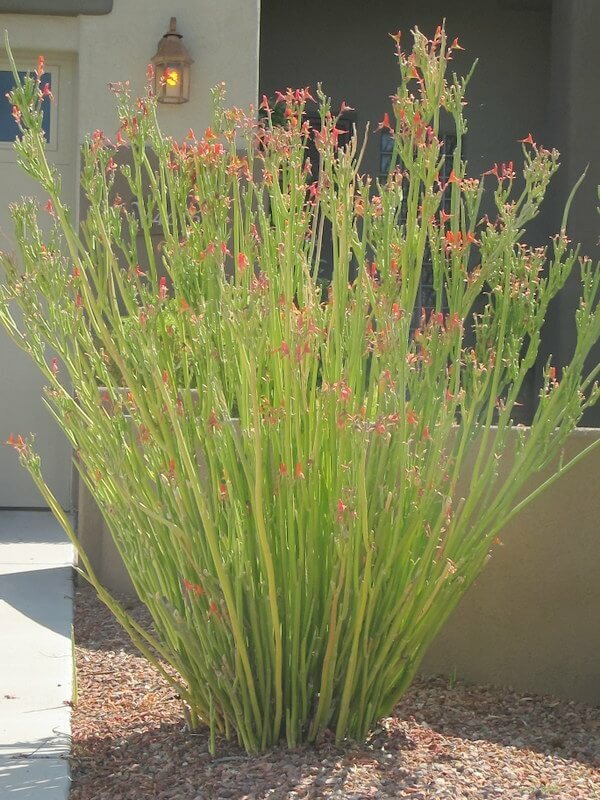 The bushy, spiny succulent develops shoots that can reach up to three to four feet in height, with a two-foot spread. 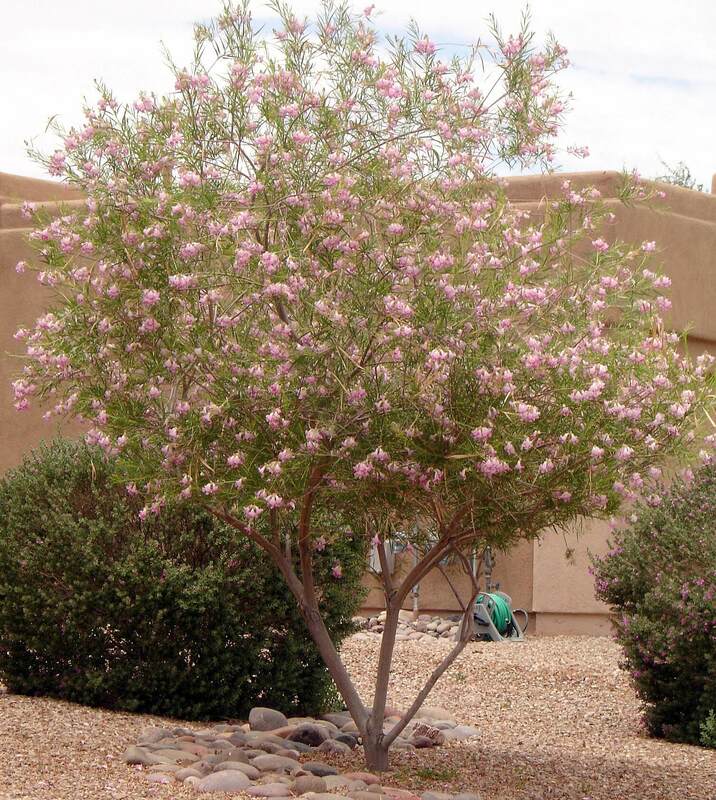 It has half-inch thorns that adorn its branches and stems. The tough, leathery foliage grows on slender, young stems. Its leaves may defoliate if moisture stressed or with extreme temperature changes. 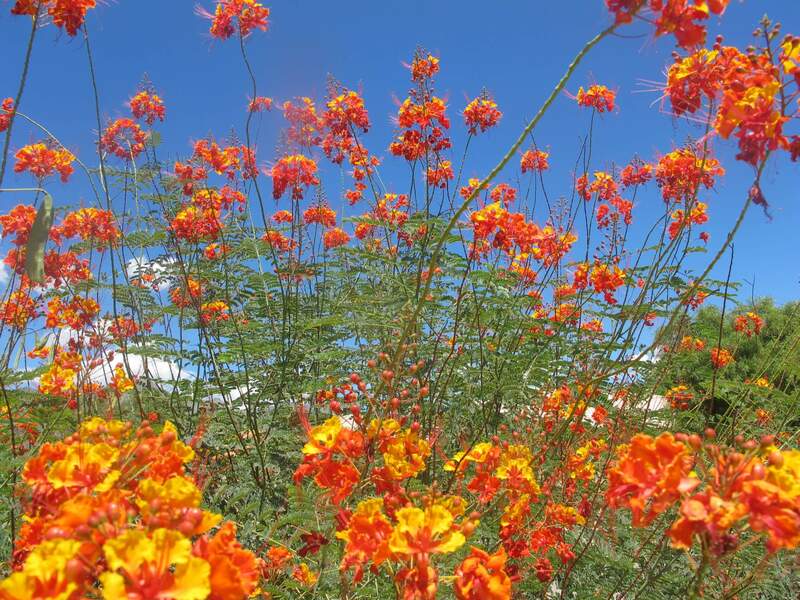 The plant blooms intermittently throughout the year, but flowers are more prolific in the spring. Small flowers are surrounded by attractive bright red or pink bracts. 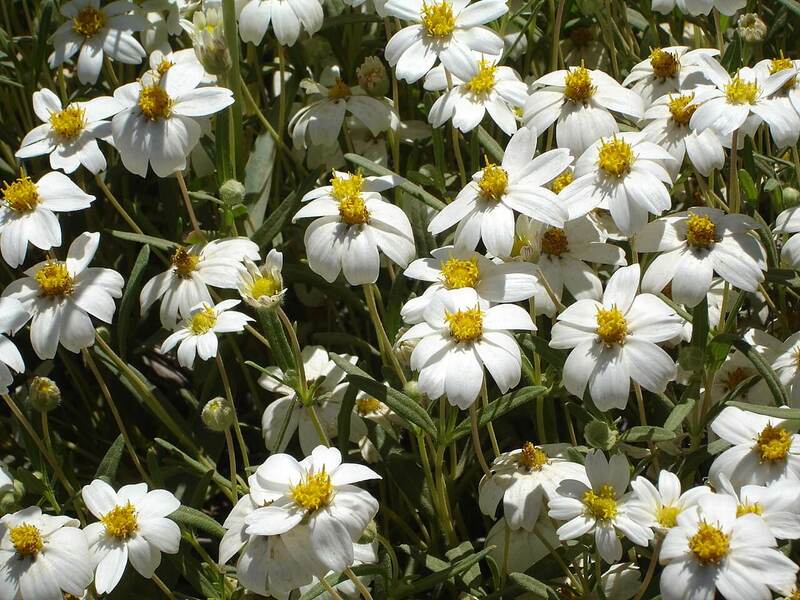 Hybrids are also available with yellow or white blooms. 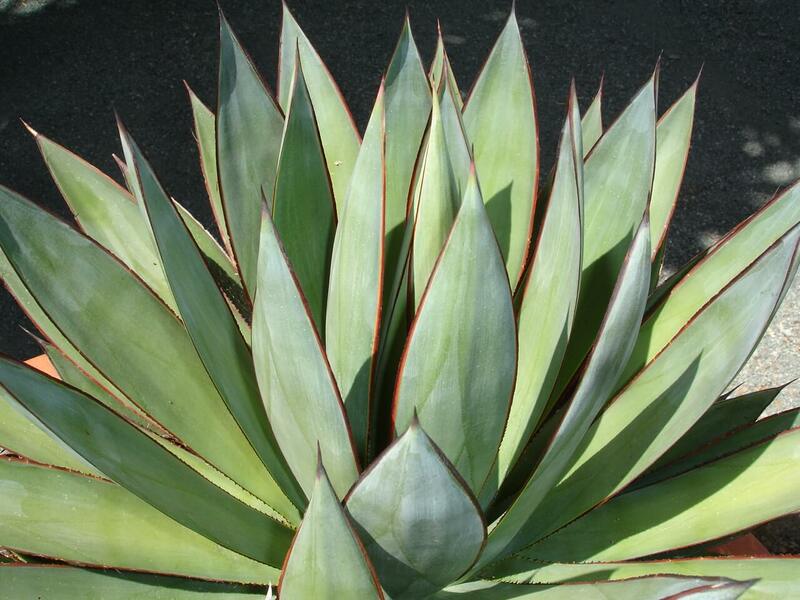 The plant produces a poisonous latex sap that may cause skin irritations. Use it in containers, low planters, rock gardens, sunny borders, and succulent gardens. It can also be used along foundations or in small, tight spaces. This tropical-looking plant works well as a houseplant in sunny locations. It is native to Madagascar. It likes full sun or filtered shade. The crown of thorns is a slow-growing plant that needs well-draining, sandy soil. 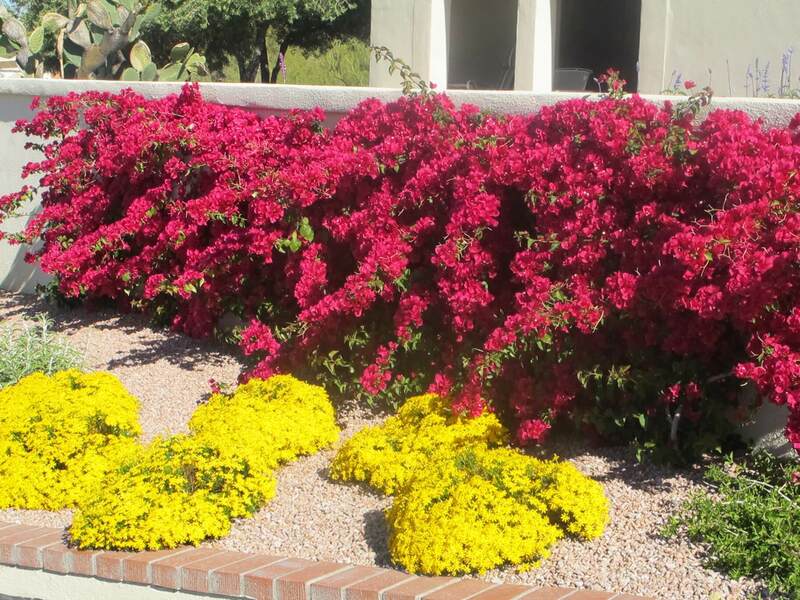 It is salt-tolerant and drought-resistant, but likes regular irrigation, especially during the summer months to prevent leaf drop. This attractive succulent is hardy into the high twenties to low thirties Fahrenheit. Protect it from frost during freezing temperatures. Apply a light application of fertilizer once per year in the spring to boost vegetative growth and flower production.